A line of direct field replacement CO2 lenses and mirrors that fit lasers up to 1000 Watts used in cutting precise plastic parts such as gears is available from Laser Research Optics of Providence, Rhode Island. Laser Research CO2 Laser Lenses are offered in 1.0” to 1.5” sizes with focal lengths from 5” to 7.5” in 1/2” increments optimized for 10.6 µm. 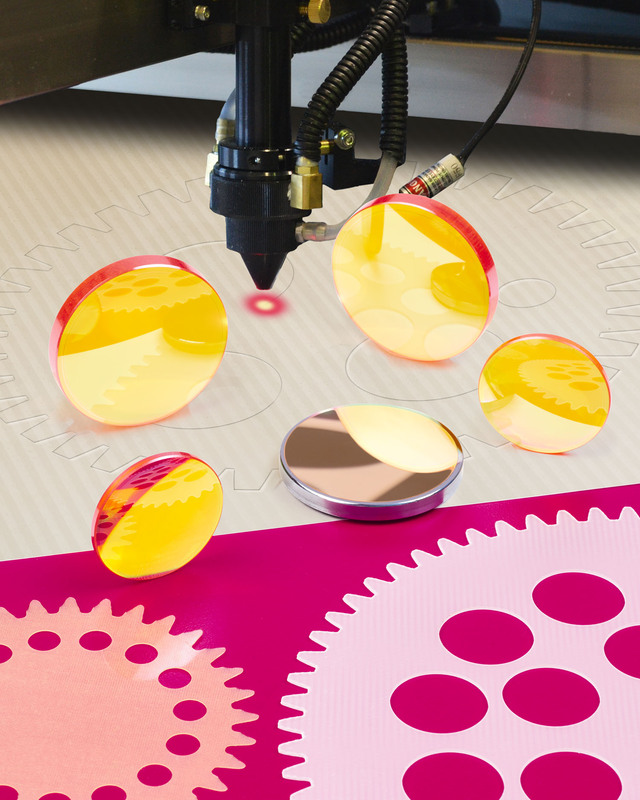 Designed for mid-level lasers used for cutting precision plastic gears and similar intricate parts requiring clean, crisp edges, these lenses help produce cut edges without the deformation associated with die-cutting. Available from stock for overnight shipment, Laser Research CO2 Laser Lenses and Mirrors meet OEM and ISO-10110 specifications. Lenses are avail- able with dual-band anti-reflective coatings to aid in system alignment, and the mirrors are 1/2” to 10 mm thick and are made from silicon and copper. They are compatible with Coherent®, Kern®, and similar lasers. Laser Research CO2 Laser Lenses and Mirrors are priced according to configuration and quantity. Delivery is from stock within 24-hours.